I peeped over my garden wall — which also serves as the perimeter wall for the development I live in — and saw that my neighbor was home. This is a neighbor that lives amidst the gardens of Hong Kong’s New Territories in a simple tidy house. The house is tin and therefore entirely grayish save for the band of red Chinese decorations around the door. The place is always locked up during the day, but in the evening and on weekends the house is alive with laundry-drying, TV-watching, and dog-barking. So, yesterday afternoon when I casually looked over the wall and saw my tin-house neighbor dressed in white at home in the middle of a weekday afternoon, I was surprised, and curious. As my eyes focused in through the afternoon sun, I suddenly realized that he was standing in the open doorway, holding and inspecting a handgun. I yanked my head back out of view, then slowly peeped one more time to confirm what I had seen: a guy in white checking the action on a black handgun. It was as surprising as if I’d looked over the wall and seen a giraffe. It’s rather difficult to legally own a gun in Hong Kong, but it is possible. He hadn’t noticed me peeping. I ducked back away from the wall and heard click, click…click, click….click, click…. He was screwing around with the (clearly unloaded) gun for 5-10 minutes. Perhaps there is a simple explanation? Perhaps it’s a simple air gun that rural dwellers use on pests? My neighbors in the other direction have been trying to capture a stray cat that has been scratching the roof of their car with all kinds of elaborate, baited traps. Maybe my tin-house neighbor is also bothered by the feral cats that jump 15 feet down from the development wall onto the tin roof of his house at 2 am? Let’s go with the more comforting explanation for now: he’s just a simple Cantonese hillbilly driven to extreme measures for a peaceful night’s sleep. Wow , that should shock the hell outta me too. Kinda cool your neighbor is a badass though. I do have a photo of his empty house, but I thought the better of posting it on-line! Who knew that living in the New Territories would be so exciting? Or he’s in a gang. You never know. Doesn’t make him a bad person, but yeah, I’d get to know what the guy is all about and be cautious. Especially if its uncommon there. Could be he’s a cop though. Hi Expat Lingo, I enjoy your posts. You and I write a similar style blog although you’re most faithful in posting. 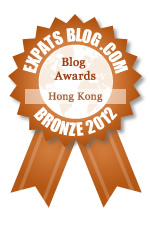 Wonder if you’d like to meet up sometime and chat about expat life. I’m on the Island side in Quarry Bay. If that interest you, feel free to email me at lauracook08@gmail.com. What the hell!!! That would stun me if I saw it in my New Territories village. Is he triad? Since he lives on the other side of the neighborhood compound wall, I don’t really know him (other than through occasional spying)… Fingers crossed it was a toy gun? Either that or greater Tai Po is more “edgy” than greater Sai Kung. Surprised the hell out of me. Hmmm, I’m thinking the same like Jade. ‘Cause you guys are living in the hills, abit removed from the core of the city. 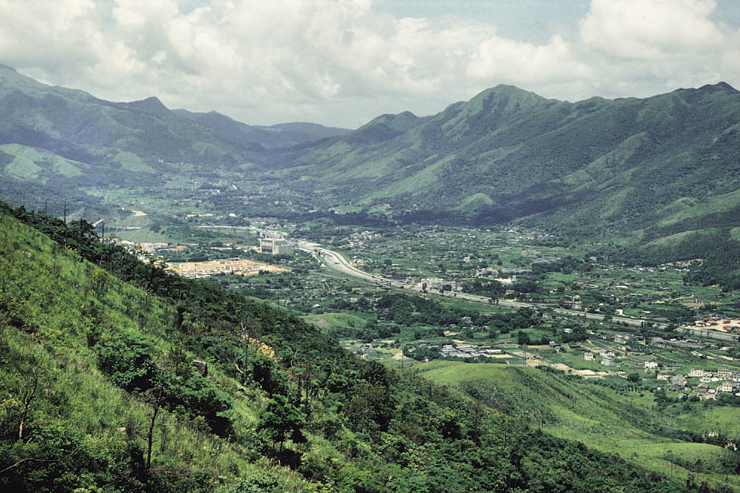 I suppose the New Territories of HK could be compared to the rural areas of Washington State outside of Seattle … and there are certainly more guns “in the hills” there too. Wow, I don’t perceived Washington State like..Texas or rural Michigan. But then the U.S., is another kettle of fish compared to Canada. 3. extremely wealthy and well connected. This is the most likely explanation because a triad gun would be inspected indoors in secrecy, not outdoors. A cop would actually have to turn in his gun at the police station when he is not on duty. I doubt he would be on duty at his own house. Gun control is really strict, even for cops in Hong Kong. 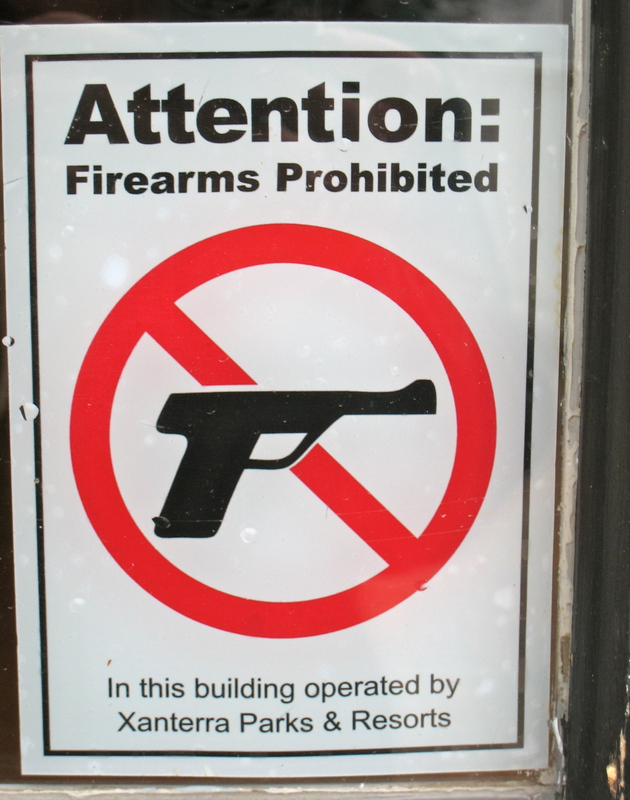 You could get a gun license in Hong Kong, but the gun would have to be unloaded and you are not allowed to possess ammo outside of the gun practice shooting range UNLESS you are extremely well connected and wealthy. You have to be a member of a shooting club and that costs thousands of dollars per year. If you can get the chief of police of Hong Kong to PERSONALLY sign off on your gun, then you CAN carry a loaded gun in Hong Kong. Lee Ka Shing and his sons carry guns in Hong Kong. A few other BILLIONAIRES also carry guns in Hong Kong but no other civilians have this permission in Hong Kong. Be friendly to your neighbor as he might be extremely wealthy and well connected. You might need his help someday. Interesting. Hmmm… my neighbor over the wall lives in a very small tin house. So he doesn’t seem wealthy at all. When I saw him last autumn, he was inside the door of his house, but with the door open. You can really only see into his house from over my garden wall (and he didn’t see me). While he is technically my neighbor, to reach his house I’d have to walk 2 km in order to get out of my housing development and around to where the gardens and his house is. So I’ve never even said “Jo Sahn” to him. I still wonder if perhaps it was an air gun of some kind (still I think rather illegal) that he uses to get rid of rodents around his small farm. Thanks for your note. Interesting insights about the Lee Ka Shing family. I wouldn’t have guessed any private person could carry a concealed gun.